To the Native Americans here in the arid Southwest, Frog is revered as very powerful medicine because it is believed that he has the ability to bring rain. Metamorphosis is their spirit as they transform during their lives from eggs to tadpoles and finally Frogs, always showing us the beauty of adaptability to and acceptance of inevitable change. 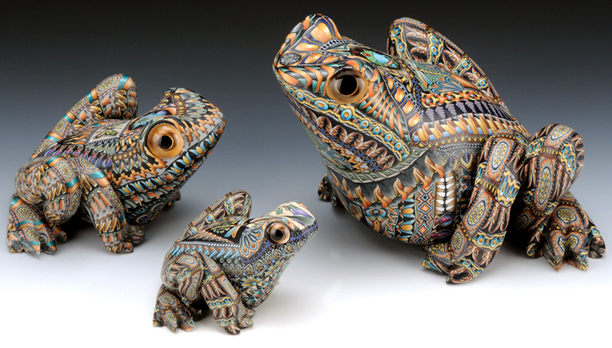 Frogs are symbols of fertility and abundance. They are associated with healing and are claimed to hold knowledge of the forthcoming weather. The Frog medicine opens our emotions and creativity, and allows us the sensitivity to detect even the most delicate changes to our environment.